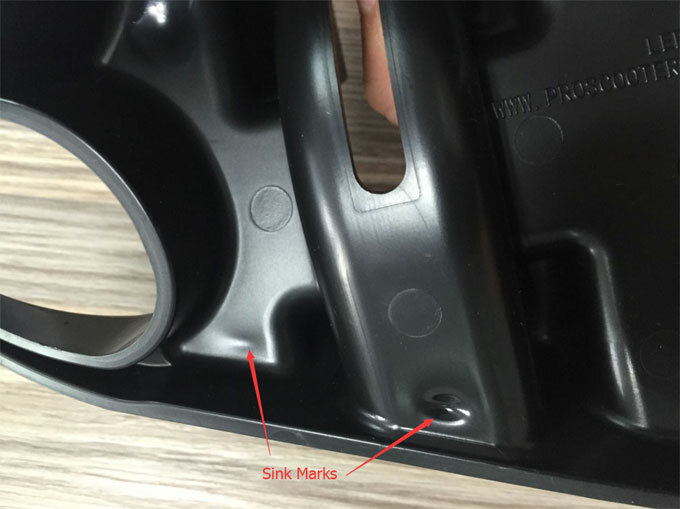 Because of the sink mark is better to be invisible, so if it will not affect the appearance, we can intentional process into corrosion appearance on the injection mould, such as striated, granular and so on. Also, if the injection moulding material is HIPS, by lowering the mould temperature to reduce the roughness is also effective. However, if using these methods, once a sink mark occurred, it will be difficult to repair or polish the plastic parts. Immediately: Increase injection pressure and injection dwell time, reduce barrel and plastic injection mould temperature, use forced cooling on the sink parts. Short-term: Patch the flow boundary to the sink mark (Figure A). If the sink mark has small place around the material, thicken this point to prevent sink marks (Figure B). 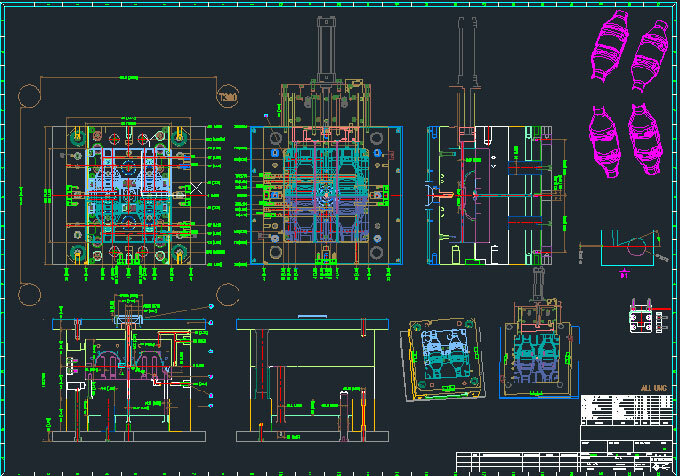 Long-term: Completely avoid the differences in plastic parts thickness when designing. Elongated shape should be as short as possible for easy sink ribs (Figure C). Material with large shrinkage is easier to cause large sink mark. Such as PE, PP, even just a little in the ribs, it will have sink mark. 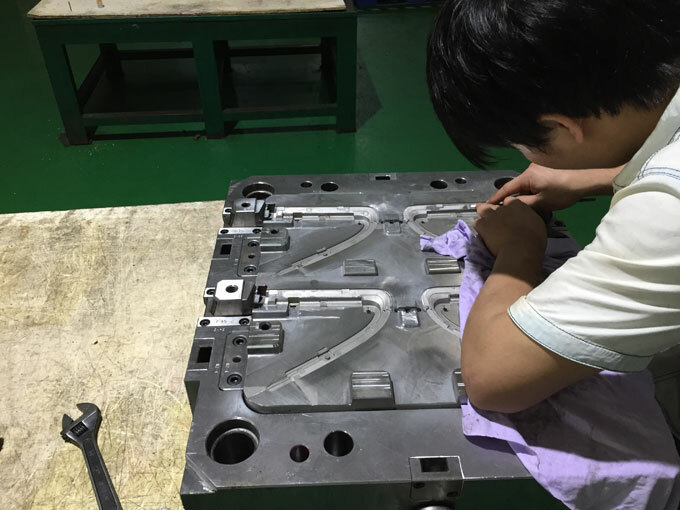 When the temperature is low enough to produce no sink mark, if the material in the plastic mould cavity still have pressure, it can be considered that there will not be sink mark. Material in the mould has static pressure, which is not necessarily wherever. Near the gate portion has high pressure. If the material has wide edge, the pressure will be too low to generate sink mark. It will also be able to obtain plastic parts without internal residual stress. The part of the material flows into smaller place will have high pressure, and the pressure of other parts will be reduced and result in sink marks. 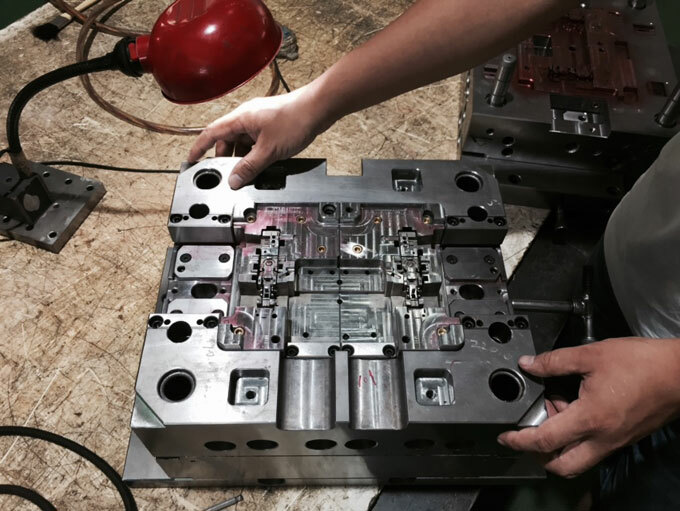 In an ideal state, the material temperature rises with the injection mould temperature, material has better mobility. When changing the moulding conditions, you should make a form recording temperature, pressure and time. According to the order on the form, we can know the results early. If the time becomes longer, we can easily understand the small changes of pressure. It should be noted: The result should be recorded after the material injection and temperature lower.